Ike Lawrence Epstein serves as Senior Executive Vice President and Chief Operating Officer at Zuffa, LLC, which operates UFC®, the world’s leading mixed martial arts organization. He is responsible for Zuffa’s worldwide operations, with over 300 employees across four continents. Epstein previously served as the organization’s Executive Vice President and General Counsel beginning in August of 2007. He was responsible for Zuffa’s corporate government relations’ functions, including activities before the United States Congress, State Legislatures and governments around the world. Under Epstein’s leadership, Zuffa spearheaded the regulatory effort for the sport of MMA, gaining approval and sanction from the world’s most prestigious regulatory bodies, including most recently the state of New York. As a result of Epstein’s guidance, UFC has become the fastest growing sports brand in the world hosting events, broadcasting and delivering content to over 160 countries and territories, to nearly 1.1 billion television households worldwide, in 40 different languages. In July 2016, Epstein played a pivotal role in WME | IMG’s acquisition of UFC, leading a team that negotiated the largest acquisition of a sports property in history. In 2008, he also oversaw the sale of a 10 percent stake in Zuffa to Flash Entertainment, a leading live events company based in the United Arab Emirates. Prior to joining UFC, Epstein was a Partner and the President of the Nevada based law firm Beckley Singleton, which joined with Lewis, Roca, Rothgerber, Christie in 2007. Epstein’s private practice focused on business litigation and encompassed transactional work including contracts relating to MMA, boxing and other entertainment businesses. 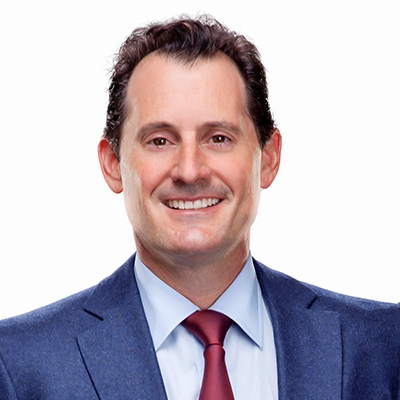 He is rated AV (Preeminent) by Martindale Hubbell and has been featured in numerous publications, including the American Lawyer, Corporate Counsel, Vanderbilt Lawyer magazines and the SportsBusiness Journal. A life-long resident of Nevada, Epstein has also been involved in numerous civic and charitable organizations. In 2016, he was named to the board of directors of the National Foundation on Fitness, Sports and Nutrition, the Congressionally chartered organization that supports the President’s mission to promote a fit lifestyle among all Americans. He is also currently a member of the Board of Trustees of The Meadows School, a private non-sectarian pre-K through 12 institution. In January 2017, Epstein was named as a charter member and Vice Chair of the Las Vegas Stadium Authority board of directors. The board will oversee contracts associated with the planned 65,000 seat, $1.9 billion-dollar stadium.